Do you want to come home and have someone take care of every little thing so you can just relax? I know I dream about enjoying such life. Although ‘dreamt’ would be a better word as I’ve already achieved it through a smart home automation project. And now, I’ll share how Amazon’s Alexa, smart home hubs, and a collection of smart devices make this living possible. My key to carefree, and pretty much hands-free, living is Amazon Echo. Amazon’s intelligent assistant, Alexa, is the one that can run your home through Echo and an array of smart devices. It integrates with a variety of hubs including Insteon, SmartThings, and Wink, as well as gadgets, like Sensi, Philips Hue Lights, Belkin WeMo, Ecobee, etc. Simply put, Alexa has the capability to connect and control your house’s lighting, thermostat, security, outlets, and almost all electronic gadgets. With Volkswagen and Ford promising to integrate Alexa in their new vehicles, you’ll soon be able to do this while on the drive home. I think it’s an incredible boost for a home automation project. This way, you’ll get to set up the house all comfy and waiting for you. Now, you can tell me that the apps that go with smart gadgets can do ‘remote control’ without Alexa. You are, of course, correct. But, think of the risks you take to activate the apps. Let’s be honest, you’ve used your smartphone while driving more than once. And every time can be the last. Once fully developed, Alexa will allow you to control your smart home remotely without distracting you from the road. Don’t forget that Alexa can also help you buy from Amazon simply by talking to it, play any music on command, remind you of events, and keep you updated on latest news. With functionality like this, it will become your best friend in no time. So, let’s get down to business. Here’s how relaxed your life in a smart home can be with the help of Alexa and some automated gadgets. Alexa welcomes you home by literally opening the door, which saves you time and effort. Using this system also boosts your security as you’re at your most vulnerable if you leave the vehicle to open the door manually. Remote controls are rather easy to hack, so that device alone doesn’t give you much protection. Alexa-operated smart garage door, on the other hand, is much more secure. It’s also easy to set this system up, so you’ll be able to do it yourself. Take a look at a detailed installation guide for devices with IFTTT controllers here. I don’t know about you, but I’m sick and tired of stubbing my toes and getting painful bruises from run-ins with my own furniture. Therefore, the first step of my personal home automation project was to install smart light bulbs. Connecting them to Echo and by extension Alexa took this ‘creature comfort’ to a whole new level. All I have to do now is to say ‘Alexa, turn on the hallway light’ and voila, I can comfortably get inside. It’s the same for every room where you have smart lights installed. You also get to not only turn them on and off with Alexa, but change the color as well. In addition, this system allows you to group smart light bulbs for easier management. For example, you can set up a group for a room or stairway. Remember that over 800,000 people in the US get hospitalized due to fall-related injuries. Those 65 and older are at a higher risk of receiving highly traumatic injuries even from a simple fall. Voice-controlled smart lighting goes a long way in reducing the risks of falling on your own property. Here’s a very easy-to-follow guide for connecting Alexa to Philips Hue bulbs. Note that some bulbs work with Alexa directly and others require a hub to connect. Check out compatibility of devices before buying. A smart thermostat must be on your home automation project list because it does not only make your life more comfortable. This device can save about $145 a year in energy bills. Alexa makes controlling your thermostat so easy, you’ll never be too lazy to use it. This means maximum economy and benefits for the planet. Amazon Echo is compatible with a variety of smart thermostats. Check out set up instructions for the most popular ones here. Ceiling fans, are similar to thermostats in that they help save money on more efficient in-home temperature control. A smart application of a good fan lowers the need to use heaters and air conditioners. Therefore, be sure to include this device into your home automation project. Alexa can not only turn the fan on and off but also control its speed. If the device has an integrated smart light, your ‘virtual home manager’ will be able to control it as well. Click here to get instructions on how to manage a ceiling fan with Alexa. The beauty of using Alexa for your home automation project is that it’s compatible with a great number of devices. They include, but aren’t limited to, TV and stereo systems, kitchen appliances, alarms, etc. The basic instruction for connecting Alexa and a TV/Stereo is here. Follow a similar pattern for any other appliance. All in all, Alexa will help you become a true chef or at least prevent you from burning down the kitchen. 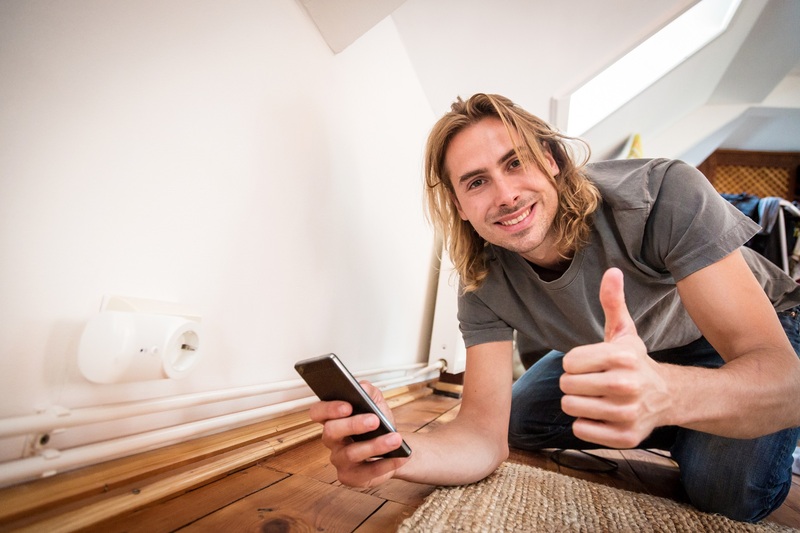 Smart outlets are usually overlooked when one plans a home automation project, which is a huge mistake. In fact, they should be the first thing on your list because these gadgets make any device smart. Well, they don’t make your old electric appliances really ‘smart’ because the outlet cannot add any special features. However, they can control the powering up and down of the device, which is the key to more energy savings. The best thing about using these gadgets is the scheduling feature. It enables you to literally plan ahead everything your home does. This includes enforcing bedtime for kids by cutting out power in their rooms. The countdown timer feature ensures you don’t forget and leave any device running. Go here to see Alexa compatible smart outlets on Amazon. Never underestimate the power of installing extra security measures. There isn’t such a thing as being too safe, especially with our crime rates climbing up all the time. 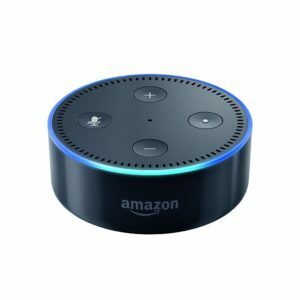 Amazon Echo and Alexa con work together with numerous security devices, including locks, alarms, and cameras. You definitely must have some of those as over 40% of jailed burglars admit they would avoid a home with visible security features. I also count motion sensors and light timers into security system devices as they can scare away some wannabe criminals. You can check out specialized Alexa features (skills) that will boost your home’s security here. If you don’t have a smart lock on your home doors yet, I suggest you go and fix it right away. That’s my personal favorite for a home automation project because it’s such a huge boost to safety. The exact level of safety and convenience depends on the gadget itself. You can check out Alexa-compatible smart locks here. Alexa will be able to lock your doors, engage deadbolts, and update you on the status of the lock. This completely solves the problem of worrying over whether you remembered to lock your door in the morning. Do bear in mind that for all its talents, Alexa cannot take command of just any device. Your home automation project will have to include some smart home hubs and automated devices for Alexa to work with. Tie all of them together with Amazon Echo and you’ll be able to control those gadgets with voice alone. Personally, I love that this ‘smart home manager’ integrates with so many different devices. It allows me to run my own house with minimal fuss and maximum efficiency. If that’s what you are after, the Echo+Alexa combo from Amazon might be just the thing you need. These days, smart homes are becoming commonplace. The popularity of these systems grows extremely fast, from 47 million connected devices in 2015 to the estimated 477 million by 2020. Alexa and Echo show us why these gadgets are getting more popular. They take the idea of a smart home and push it to its limits. An Alexa home automation project is sure to make your life much more comfortable. It will even help you save some money and help the planet through efficient energy management. Hot! Hot! Hot! – Cool Down With Radiant Barrier Attic Installation!